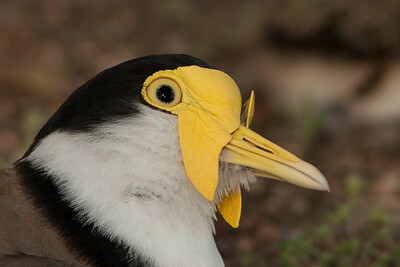 Stacked converters have their purpose! 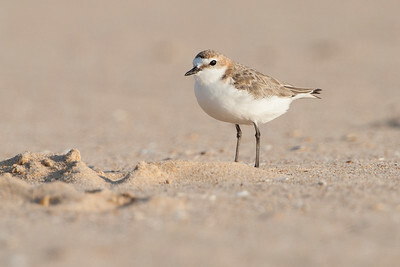 A dotterel shows off its catch. 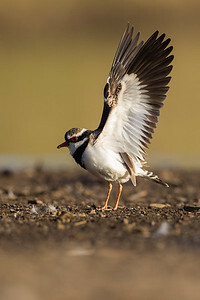 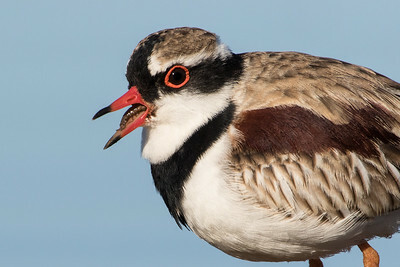 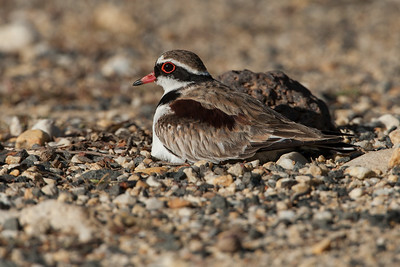 A Black-fronted Dotterel sitting on its nest. 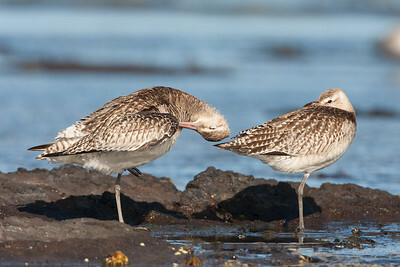 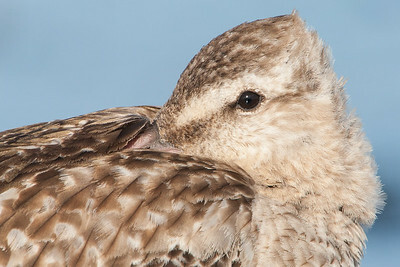 A young Bar-tailed Godwit preening while its partner sleeps with one eye open. 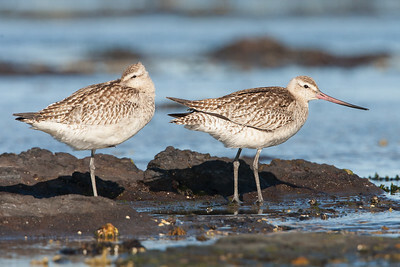 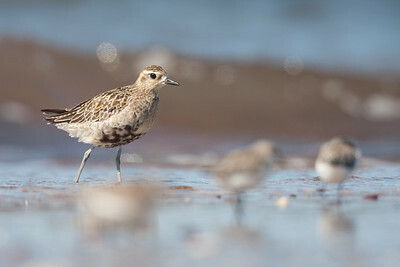 Two young birds on the seashore. 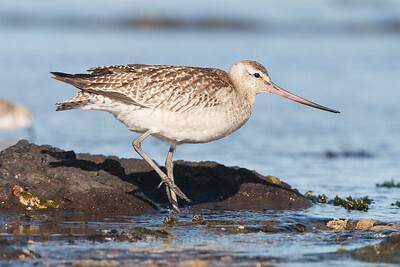 A young godwit taking a step on a rock platform. 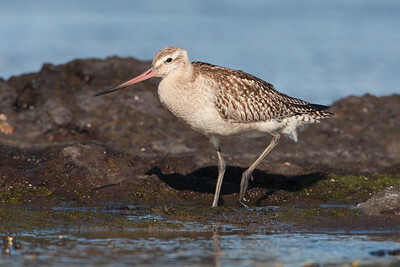 A young godwit on a rock platform. 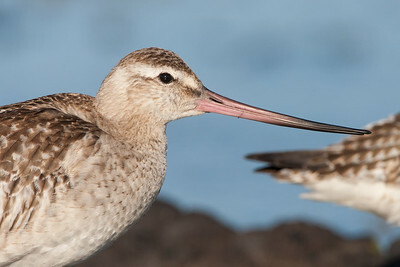 A young Bar-tailed Godwit is a handsome bird. 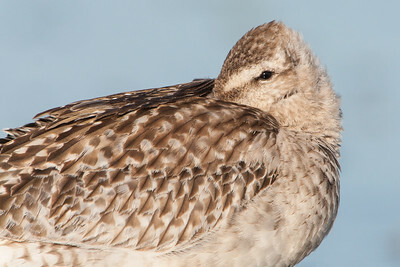 A young godwit checks me out. 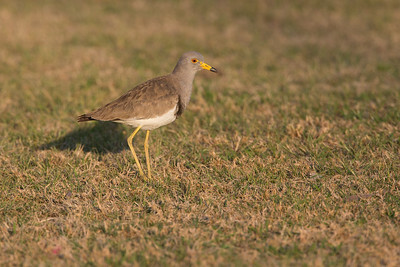 A rare visitor to Australia. 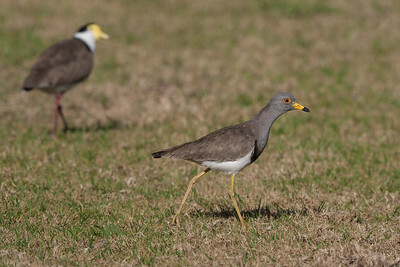 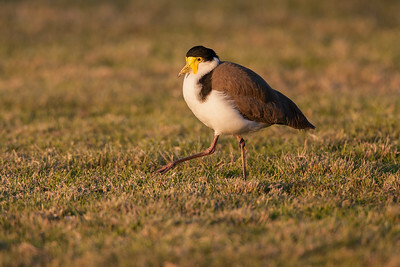 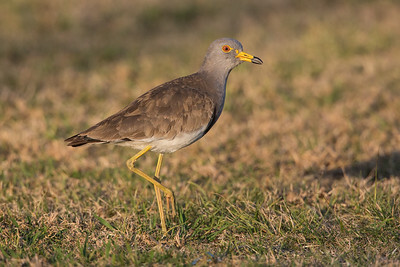 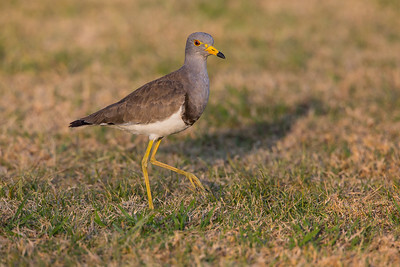 Our Australian Masked Lapwing is out of focus at the rear left. 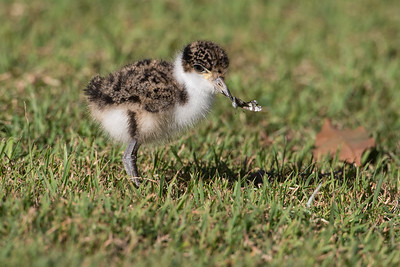 Little beast in the making. 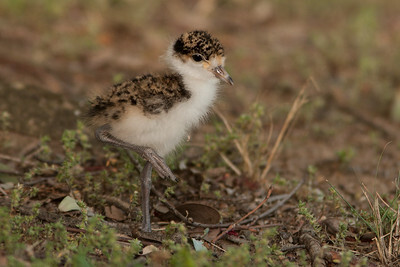 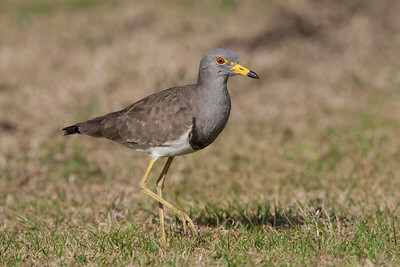 A Masked Lapwing chick, barely a week old, catches a butterfly. 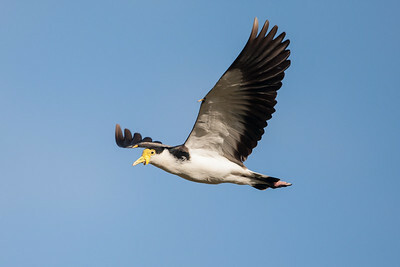 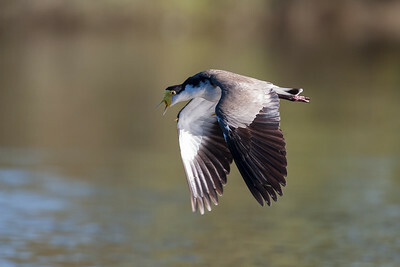 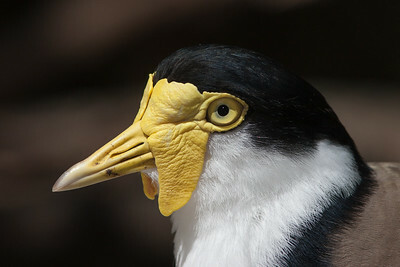 A Masked Lapwing flying over water, showing its spurs. 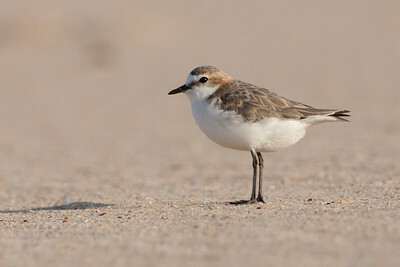 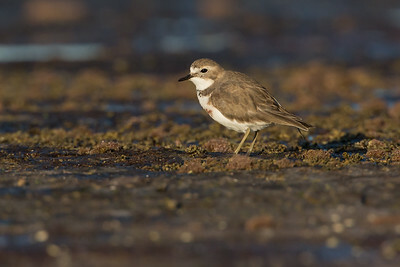 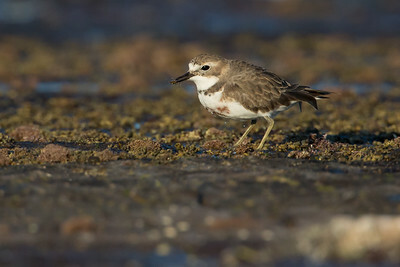 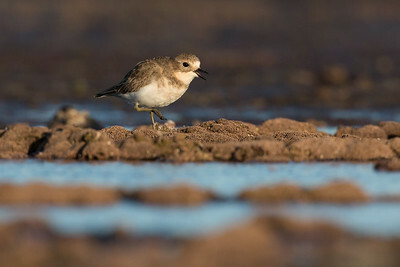 A plover on the rocks.